After the disaster that was The Hitchhiker's Guide to the Galaxy movie, I had absolutely no hope in ever enjoying a Douglas Adams adaptation ever again. I didn't think it was possible to transfer his wit and weirdness to the screen. I was curious. Morbidly so, but curious nonetheless. So I watched it. And I was impressed. Let me start by saying that the only things this show shares in common with the books are Dirk Gently, the idea of a holistic detective, and a general sense of weird. The plot is different, the characters are different, the setting is different. So it's an adaptation in the sense that it keeps a character and a feeling and tells a different story, rather than in the sense of a straight page-to-screen adaptation. Which is really, really good for us. The beauty of Douglas Adams lies in his metaphors, his descriptions, and his turns of phrases. His plots aren't really that great, as much as it pains me to say it. He's unfailingly original, of course, but the pieces of ideas he brings together don't make for a great movie plot. See: The Hitchhiker's Guide to the Galaxy. So, Dirk Gently's Holistic Detective Agency the show follows a completely new story. The story looks promising, though this early in the series, who can tell? There's a holistic assassin who's kidnapped a hacker, some kind of animal who killed a missing heiress's father and left bite marks in the ceiling, a team of havoc-wreakers in a painted van, a government agency or three, a gorilla mask, a corgi, and a really important black kitten. It has all the weirdness of Adams with what looks like a pretty solid television plot, so bravo there, BBC America. Keep up the good work. Even more important than the plot, however, are the characters. The show follows Todd Brotzman, an aimless, ambitionless hotel worker whose life takes a turn for the weird. He's played by Elijah Wood, so there's a point in his favor right there. Wood does a wonderful job making Todd an endearing everyman, and I'm quite pleased with his reactions to the unbelievable situations happening around him. Todd's sister, Amanda, a sufferer of the fictional disease pararibulitis and played by Hannah Marks, seems like she'll be a fairly big character throughout the season. She's interesting and likable, but that's about it so far. Nothing too special. Bart Curlish, a holistic assassin (serial killer) with a vendetta against Dirk Gently (whom she's never met), played by Fiona Dourif, did not thrill me. They tried to make her interesting and vaguely endearing, but I was tired of her before the end of her first scene. I can only hope she gets more interesting. The hacker she kidnaps, Ken, played by Mpho Koaho, is endearing, the male damsel in distress in this series. The rest of the minor characters haven't had a big enough part yet for me to get a read on any of them or to really care enough to like or dislike them. If you want a more in-depth rundown of the characters, check out this article. 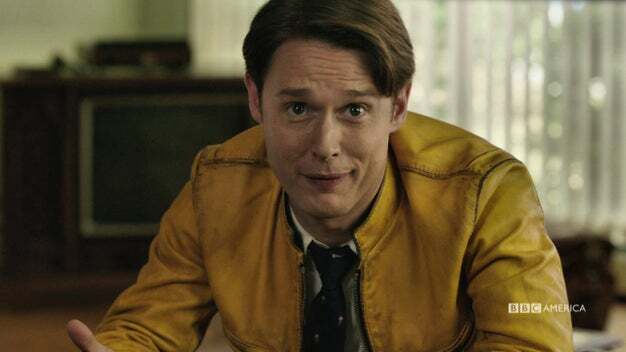 Now, to the most important character: Dirk Gently. Dirk Gently is quirky, lovable, charmingly odd, and not at all what I imagined when I read the books. The Dirk in the books is much more curmudgeonly, lazy, and malleable. He gives into temptation, he's frequently late to things, his apartment is a mess. And yet, I'm not mad at this interpretation of the character. Samuel Barnett plays what I consider to be a younger, more upbeat version of the character--like Benedict Cumberbatch's Sherlock Holmes. Accurate, but different. He stays true enough to the gist of the character--the belief in the interconnectedness of all things to the point of insanity, the irritation he brings to everyone around him, and the tendency to be the accidental harbinger of weird things. Like the book version, you love his optimism and oddity, but unlike the book, you have a feeling that you would follow him to the ends of the earth just because he told you to, despite the fact that you really, really don't want to. It's a change, but it's a good one. This show isn't trying to be the book, it's paying homage to it and becoming its own thing. The only thing I really didn't like about this show was the excessive amount of gore. In the book, sure, people die, but one, you don't see it, and two, they mention it and move on. This show seemed to take joy in the gratuitous violence. I don't know exactly how many people died, but it was at least seven. All with blood splatters and slow motion bullets/knives/etc. In the first episode alone. I'm not sure what the point of all the violence was, and it was fairly disturbing. I can only hope that it was a gimmick to get people interested in the show and that the following episodes will calm down a bit. 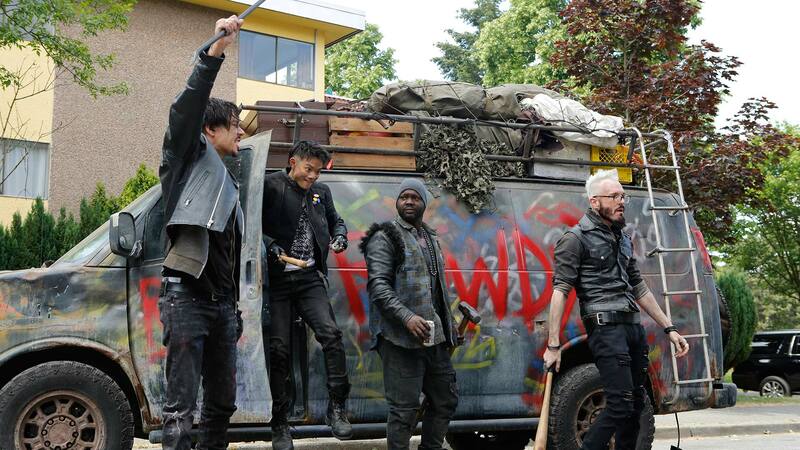 But with a holistic assassin, three people who appear to have been kidnapped, and a van full of guys with baseball bats who destroy things just for fun, I'm not counting on anything. At the end of things, there was enough intrigue and whimsy to bring me back next week, and I'd consider this a successful adaptation, paying enough tribute to the original but also being something completely new and interesting of its own accord. So bravo, BBC America. Keep up the good work. Please don't let us down. Did you watch Dirk Gently's Holistic Detective Agency?